There are dozens of different ways for you to make extra money online, and you don’t need to spend any money on an expensive course to teach you how to do it either. With just a few hours work, you could quite easily build an Amazon product site that earns you anything from $50-$100+ a month. The beauty of this method is that it can be replicated across a dozen or more sites to build a network of money makers. Will they last forever? Probably not. But the return for the time spent is definitely worth it. Plus, if you maintain and update the sites, they might last for a long time – especially if you chose good products. Here’s my step by step guide to building a website that makes money from Amazon products. Sign up for the Amazon Associates program. 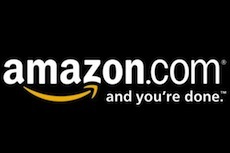 This program allows you to put links to Amazon products on your site and earn a commission every time somebody purchases a product off Amazon through your link. The first step is to sign up so you can get the special affiliate link needed to make the money: Sign up here. Choosing potential products. Before you can build your site, you need to know what to base it on. Here, I list down all of my gadgets, products and devices that I own. I’ll also browse through Amazon to find other products that I like the look of, have used before, or know that friends/family own. Compile all of these into a list of 15-20 ideas and you’re ready to find the most profitable ones. Check search volume. The way we will make money is by free traffic from Google, so we need to pick keywords that are searched for, but not too competitive. Take all of the products in your list and put them through the Google Keyword Tool. You’re looking for types of product rather than individual product names so instead of entering “Black & Decker D2030 Iron”, go with the more generic “steam iron”. Google will suggest a list of similar keywords, some of which will be very competitive. Check the [Exact] box on the left hand menu and go down the list and tick any keywords with a global search volume of 500 to 1,000 and use the download button to save them. These are your keywords with the highest chance of success. Check the search results (optional). Take each of your new found keywords and do a Google search on them. Take a look at the results. Are there many homepage results (i.e. just example.com instead of example.com/page.html)? Do Amazon have multiple pages listed? Is Google displaying shopping search results? These might be reasons to leave that keyword and try another. It’s not always the case though, so this step could help you find a real nugget of a keyword. Write some content. I tend to pick 4-5 of the best products for the particular product type and write reviews on them. If you don’t own the products to review, then you could head over to a store which stocks them and try out a few there. Explain what you like and dislike about the product and why. When you’re done, write a homepage which explains what the site is about, and highlight your top products. Add in your Amazon links. Log in to Amazon Associates account from Step 1, then search Amazon for the products you reviewed. There will be a new gray bar at the top of the page which says “Link to this page”. That will give you your special affiliate link to add into your written reviews. Promote your site (optional). If you picked an untapped keyword, you might start to get search traffic in a few weeks. If not, you can promote your site in a few ways. Find sites to write guest posts on (like I am doing now! ), comment on other blog posts of a similar topic, find sites talking about the product and email them asking to link to your review. You only need a dozen or so quality links to make this a real long time winner. Rinse and repeat. Once you’ve built one, you can build a dozen more. All it takes is time. Not all of your sites will be winners, but at worst you’ll have wasted 4-5 hours setting it all up. Compared to the $50-100 you could get in return, it’s worth trying. Interested in starting a blog and quitting your job? Check out How I Make Money Online and sign up for FREE course. How much would an extra $150 help your current financial situation? Would it be worth 5 hours of time investment?